The Standing Together truck and trailer along with hundreds of volunteers and with the help of many sponsors, travels across Israel bringing active IDF soldiers everything from operational water packs, to dry-fit apparel as well as operational gear and even fresh pancakes and cold ice cream to help cool them down during the hot summer months. David Landau’s grandson (David is the Director of Standing Together) drafted into the IDF and is serving in the elite paratroopers unit. We heard over 700 soldiers just finished some extremely difficult training and were standing in the scorching summer heat waiting for orders, so we decided to travel to their base and cool them off! Thanks to the generosity of an anonymous donor we were able to reach all 700 soldiers! The soldiers could not believe the support they were receiving from across the world. “We just didn’t know people from so far away cared enough to show such support and appreciation. 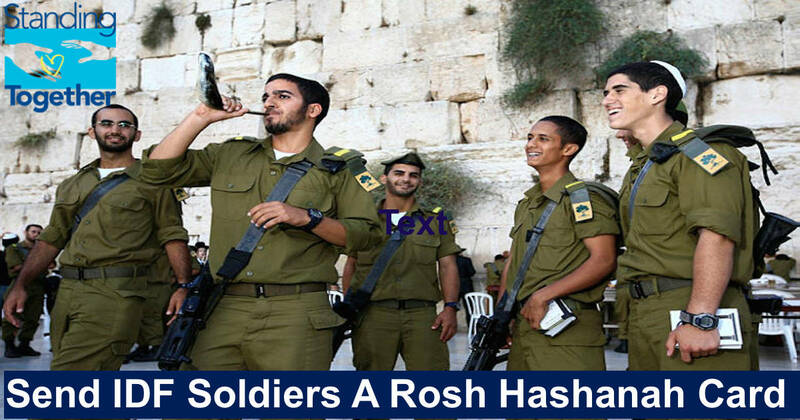 It makes a huge difference and gives us strength and motivation to continue protecting Israel”. Time and time again IDF soldiers express their appreciation for the support and love they receive from all over the world. Every time Standing Together shows up at an IDF base, soldiers express just how important it is for them to know that people around the world have their backs. IDF soldiers often tell us that the support and the simple ‘thank you’ they receive through the Standing Together campaigns give them strength and motivation to continue protecting Israel. Now is the time to partner up with Standing Together and join one of our IDF support campaigns. All of our campaigns are designed to reach active IDF soldiers and make their service a little bit easier and more effective.